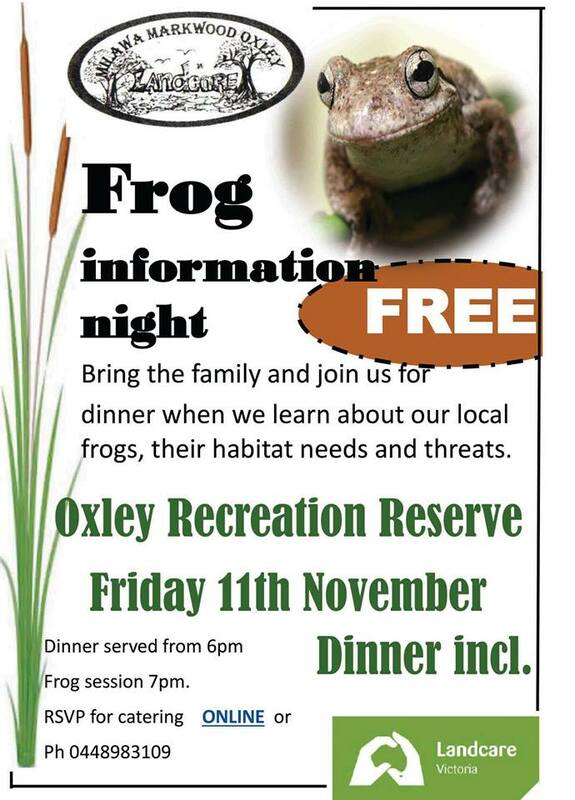 Bring the family and join us for dinner when we learn about our local frogs, their habitat needs and threats. 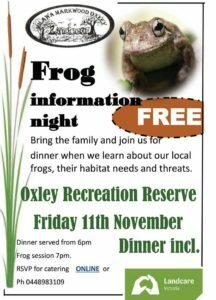 This is a great opportunity to learn from an expert about our local frogs. Please bring a chair, mosquito repellent, gumboots & torch (we will be going for a walk).